Earn your CLTD certification and be a step ahead of your peers in the logistics, transportation and distribution industry. 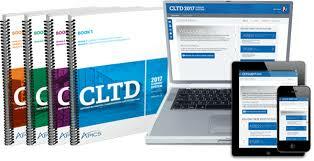 APICS set the global standards for logistics best practices with CLTD designation. . Eligible candidates must pass one exam, which reflects eight critical areas in logistics, transportation and distribution and are required to maintain the CLTD designation every 5 years. The study group will be conducted by CSCP/CLTD qualified instructors who have been involved in teaching similar programs and having vast industry experience. The program is of four month duration. Classes will be conducted on Sunday from 10:00 a.m. to 04:00 p.m. The course is open for professionals working in supply chain, materials and operations management. It is also open for other individuals who wants make a career in the field of supply chain and who hold a Bachelors degree. Working as a General Manager at PIM. His areas of specialization are Marketing and General Management. I am keen interested in this course if this is offered in Lahore or Islamabad as currently i am doing job in Mirpur A.K and it become very difficult to attend it in Karachi . Hope will get connected if started in Lahore or Islamabad. I am interested in that course would you pleased send me detail out lines of this course also let me know either we have pay the fee in installment and also guide us how we get any concession for this course. I am interested please keep in touch ……………..
What’s the last date for registration? Strongly recommended. Aslam Soni sb is a best teached and coach for national and international Logistics and Supply Chain certificate preparation. Tuition fees and certification fees also . Which pay in dollar for certification???? Any course being offered in Ship personnel management ?